A cash loan is a money you borrow from any institution for your personal use such as medical emergencies, to buy a new phone or a car, for home renovation, for travel expenses or to meet any other personal or monthly requirement. One can apply for personal loan to make big purchases and can pay off at your own pace. The flexibility of such loan makes it popular. You can apply for personal loan online via loan apps. These platforms let you take a cash loan with minimal documentation. 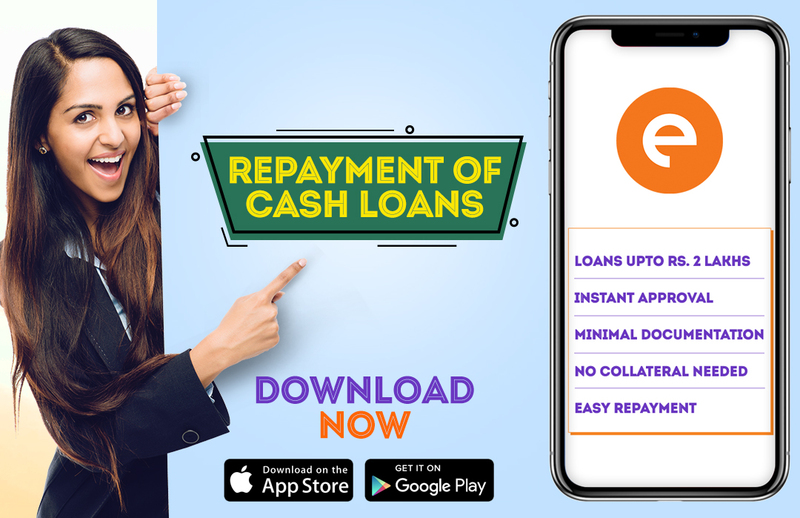 You can download the cash loan app from Google Play Store or Apple App Store from your smartphone. Register yourself on the app with basic details like your name, number, address and bank details. The app will then ask you to enter the loan amount and duration. The cash loan amount ranges from ₹10,000 to ₹1 to 2 lakhs and the duration can be 15, 30, 60 or 90 days. Once you enter the loan details you have to submit the required documents. Once you send the loan request the app will review it and approve or disapprove your loan. You have to submit your basic documents to avail a cash loan. Your Pan Card, Aadhar Card, Passport or Driving License will be a valid proof of identification. For address proof, you can submit Rent Agreement or Passport or Utility Bills. You also need to showcase the income proofs like your 3 to 6-month salary slips and your bank statement credited with salary. You can apply for personal loan if you are between 23 years to 58 years old. You have to be a resident of India to apply for a personal loan. You have to be a salaried employee of a registered company. Once the due date arrives the app will send you alerts so that you don’t miss the date. When you apply for personal loan you have to upload your bank details on the app itself, so you can repay the amount via bank transfer. Another option is to deposit a cheque. The process of cash loan repayment is hassle free just like the application procedure. • Once your cash loan online is approved the amount is disbursed in your personal savings account within a few minutes. • The interest rates offered are pretty reasonable.